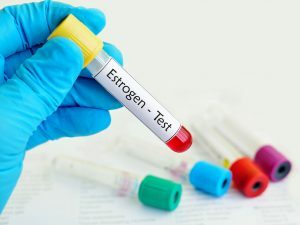 Hyperthyroidism—What Your Hormones Could Be Hiding? If you’re one of hundreds of thousands of individuals who experience strange symptoms such as, nervousness, fatigue, sensitivity to heat, and hand tremors, you may be suffering from a condition known as, “hyperthyroidism”. The disease that produces an overabundance of thyroid hormone affects women 2 to 10 times more often than men, and individuals over the age of 60. If left untreated, hyperthyroidism can wreak havoc in your life and even become debilitating, causing a multitude of other medical problems including, an irregular heartbeat, blood clots, stroke, and heart failure. Hyperthyroidism may also lead to osteoporosis and disturbances in vision, as well as pain in the eyes. 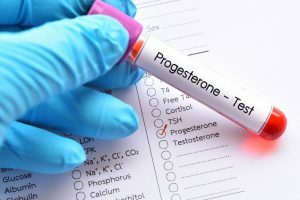 A woman’s menstrual cycle, and her ability to conceive can be affected by hyperthyroidism, and health problems for both mother and baby can be attributed to the disease as well. Symptoms of hyperthyroidism may come on subtly but quickly, and because they appear seemingly unrelated, the condition may go undiagnosed for some time. Many of the symptoms of hyperthyroidism make it difficult for physicians and other clinicians to accurately pinpoint the cause because as a group, they tend to mimic many other medical conditions. How do I get hyperthyroidism? Hyperthyroidism is not a contagious disease, but a medical condition caused by the overproduction of the thyroid hormone, thyroxine. Hyperthyroidism works to speed up metabolism, causing many of the uncomfortable physical symptoms such as sudden weight loss, an irregular heartbeat, profuse sweating, and nervousness. 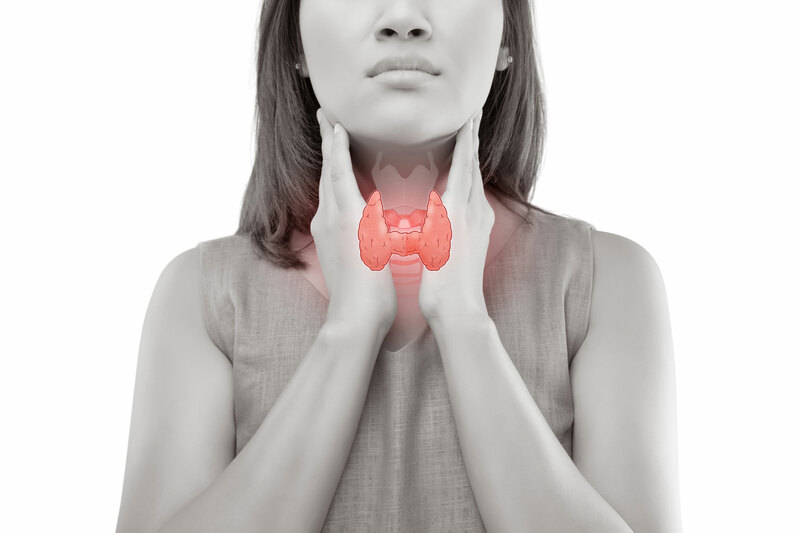 There are several reasons hyperthyroidism may be present including Graves’disease, thyroid nodules, inflammation of the thyroid, overconsumption of iodine, thyroid cancer, or excessive amounts of thyroid hormone medicine. This is an autoimmune disorder whereby the immune system attacks the thyroid gland, causing it to produce too much thyroid hormone. It is also the most common cause of hyperthyroidism. Thyroid nodules are small growths on or within the thyroid gland. These are generally benign and non-cancerous, but may become overactive. When this occurs, excess thyroid hormone may be produced. The presence of many thyroid nodules is generally only seen in older individuals. Thyroiditis occurs when the thyroid gland becomes inflamed and thyroid hormone that has been stored begins to leak. This results in hyperthyroidism at first that may last up to 3 months. After this period, the thyroid may become depleted and underactive, leading to hypothyroidism. Hypothyroidism, or the “underproduction” of thyroid hormone generally lasts about 12-18 months, though sometimes can become permanent. Subacute thyroiditis—An inflamed and enlarged thyroid may be caused by a viral or bacterial infection. Postpartum thyroiditis—Thyroiditis presents in a woman directly after childbirth. Silent thyroiditis— This occurs without pain and may be related to an autoimmune condition. Because the body utilizes iodine to produce thyroid hormone, the amount of iodine consumed impacts the amount of thyroid hormone created. Some individuals who consume large amounts of iodine through diet or medication can actually unknowingly create a hyperthyroid condition. Seaweed, and seaweed supplements contain high levels of iodine, as do some cough syrups, and the heart medication, amiodarone. Some individuals in treatment for hypothyroidism take prescription medication to boost low thyroid hormone levels. 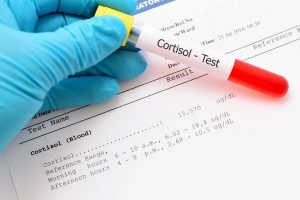 Sometimes other medications interact with thyroid treatment, raising hormone levels too high. Regular check-ups with a medical practitioner may be necessary to adjust medication levels properly. The thyroid gland, located just above the collarbone is part of the body’s endocrine system that produces hormones. Thyroid hormones in particular help regulate metabolism, and heart rate. Who is most likely to develop hyperthyroidism? Women are 2 to 10 times more likely to develop hyperthyroidism than men, especially if age 60 or older. What other health problems are linked to hyperthyroidism? If hyperthyroidism goes untreated, serious health problems can occur, including irregular heartbeat leading to blood clots, stroke and heart failure, Graves’ophthalmopathy, an eye disorder that may cause double vision, light sensitivity and eye pain, and thin or weak bones, and osteoporosis. How does my thyroid gland work? 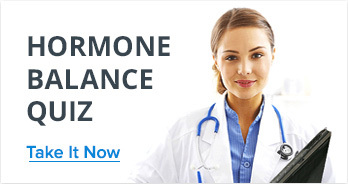 The thyroid gland makes two major hormones, thyroxine (T-4) and triiodothyronine (T-3). These affect every cell in the body. They work to maintain the rate at which we use fats and carbohydrates, control our body temperature and heart rate, and help regulate protein production. Our thyroid also produces a hormone, “calcitonin” that works to regulate calcium in our blood. The pituitary gland and hypothalamus at the base of the brain acts as a thermostat for the body. The hypothalamus tells the pituitary gland to make thyroid-stimulating hormone, or “TSH”. The pituitary gland then releases TSH, but the amount is dependent on how much T-4 and T-3 are present in the blood. If there is not enough T-4 and T-3 in the blood, TSH levels will rise. If too much is present, TSH levels will fall. 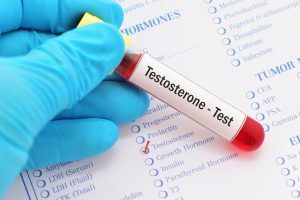 Since the thyroid gland regulates hormone production based on TSH, if the thyroid gland is diseased and releasing too much thyroid hormone on its own, the TSH blood level will remain below normal. Conversely, if the diseased thyroid gland can’t make enough thyroid hormone, the TSH blood level will continue to be high. A general practicioner may recognize signs and symptoms of hyperthyroidism that can be further confirmed with laboratory tests. In some circumstances an endocrinologist may be needed to diagnose and treat hyperthyroidism. To test for overall thyroid function the thyroid stimulating hormone (TSH) level should be checked. A TSH level that indicates lower than normal, generally means there is adequate thyroid hormone in the body. This could also point to hyperthyroidism. When hyperthyroidism occurs, free thyroxine (T4) and free triiodothyronine (T3) rises above normal. Additional labs can help identify the cause of hyperthyroidism. When Graves’ disease is diagnosed as the cause of hyperthyroidism, thyroid-stimulating immunoglobulins (TSI) are found in the blood. Thyroid peroxidase antibodies and other anti-thyroid antibodies may be found in the blood when certain disorders leading to hyperthyroidism are present. Hyperthyroidism may be treated a variety of ways depending on the cause and severity of the condition. Radioiodine therapy—Radioiodine targets the thyroid, destroying tissue permanently. This eventually requires lifetime hypothyroid treatment. Thyroid surgery—Partial or all thyroid tissue is removed surgically. May require follow-up hypothyroid treatment. Consuming certain foods including broccoli, Brussels sprouts, cabbage, cauliflower, kale, rutabagas, spinach, turnips, peaches, and pears may help the body suppress thyroid hormone production naturally. Dairy products and stimulants including tea, coffee, soda, and other drinks that contain caffeine should be omitted from the diet. High dosages of specific vitamin/mineral combinations can also help alleviate hyperthyroidism (when administered under a physician’s supervision). What should I avoid eating if I have hyperthyroidism? Certain foods should be avoided if an individual is diagnosed with Graves’ disease or an autoimmune thyroid disorder. These include foods that contain large amounts of iodine such as kelp, dulse, or other seaweeds. Certain cough syrups, iodine supplements, or multivitamins may also contain high levels of iodine and should be avoided. What type of doctor should I see for hyperthyroidism? Most general practitioners and family physicians can diagnose and treat hyperthyroidism. There are exceptions however, when a second opinion from another physician or a specialist, such as an endocrinologist may be appropriate. In cases where an individual has suspicious thyroid nodules, where thyroid cancer, or Graves’ disease is suspected, or an enlarged thyroid known, as a goiter is present, a specialist may be necessary. An estimated 20 million Americans suffer with thyroid disease every day, but up to 60 percent of those don’t even know they have what could be a very serious medical condition. If left undiagnosed and untreated the consequences could be life threatening. The good news is that most thyroid conditions though lifelong, can be managed with proper medical attention and intervention. Finding the right medical practitioner to diagnose and properly treat thyroid disease is critical. Don’t wait until symptoms become unmanageable to get help. Get tested for thyroid function today! 1″General Information/Press Room.” American Thyroid Association. N.p., n.d. Web. 28 July 2017. 2″Amenorrhea.” Mayo Clinic. Mayo Foundation for Medical Education and Research, 09 May 2014. Web. 28 July 2017. 3″Conditions with Similar Symptoms as: Hyperthyroidism.” University of Maryland Medical Center. N.p., n.d. Web. 28 July 2017. 4″Hyperthyroidism (Overactive Thyroid).” National Institute of Diabetes and Digestive and Kidney Diseases. U.S. Department of Health and Human Services, 01 Aug. 2016. Web. 28 July 2017. 5″Hyperthyroidism and Graves’ Disease.” Hyperthyroidism and Graves’ Disease | Michigan Medicine. N.p., n.d. Web. 28 July 2017. 6″Hyperthyroidism | Graves’ Disease | Overactive Thyroid | MedlinePlus.” MedlinePlus Trusted Health Information for You. N.p., n.d. Web. 28 July 2017. 7″Hyperthyroidism: Various treatments available for overactive thyroid.” Mayo Clinic. Mayo Foundation for Medical Education and Research, 28 Oct. 2015. Web. 28 July 2017.